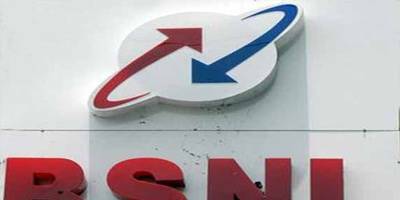 New Delhi, July 21 (IANS) The central government on Monday said the condition of telecom PSU BSNL "was not very healthy" and it was giving priority to improve its functioning. Replying to supplementaries in the Lok Sabha, Communications and Information Technology Minister Ravi Shankar Prasad said the government was giving priority to improve functioning of Bharat Sanchar Nigam Limited (BSNL). "The condition of BSNL is not very healthy at all. It is priority area of government to improve the functioning of BSNL. There is need for a lot of improvement," he said. Besides, the minister said the government was concerned about the coverage and quality of telecommunication services in left wing extremism affected states. A proposal to install mobile towers at 1,836 locations in those states with funding support from universal service obligation fund (USOF) was approved, he added. Answering a query about health hazards from radiation linked to mobile towers and phones, Ravi Shankar Prasad said various studies were conducted but they did not show any reason to worry.